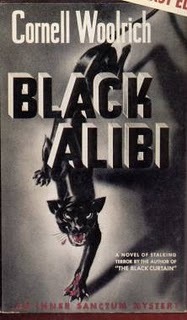 I've been on a Cornell Woolrich bender lately, mainly fueled by many episodes of the radio series SUSPENSE. Today's average pulp reader or watcher of mystery/noir/horror films might not have heard of Woolrich, it seems a lot of people haven't. According to Harlan Ellison's intro to the Woolrich short story collection ANGELS OF DARKNESS, it seems he was becoming obscure even by the early 1970s. Certainly he's not as well-known today as Dashiell Hammett or Raymond Chandler. But ironically even though you may not know him or his works intimately, you've probably bumped into an episode of a TV show that uses one of his stories as its basis, or seen a movie adapted from his books. In fact he's probably the most directly-adapted pulp mystery writer out there. Some examples are (most famously) Alfred Hitchcock's REAR WINDOW and (most recently) Antonio Banderas and Angelina Jolie's ORIGINAL SIN. IMDB lists 93 adaptations in various forms, not including radio plays. 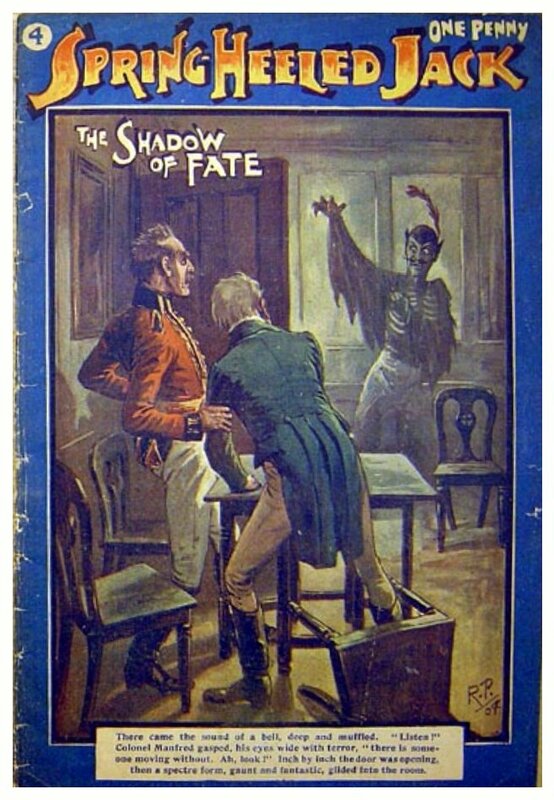 Cornell Woolrich was called the Poe of the 20th century and the poet of its shadows. He lived a life of such deep despair and terror that he could do nothing with its experiences but put them between the covers of some of the century's finest novels of suspense. Born the child of a broken marriage in 1903, Woolrich spent his childhood in revolutionary Mexico, coming to New York in his teens. 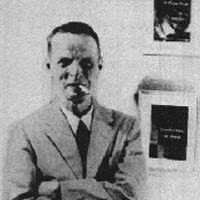 While still a student at Columbia, he sold the first of several mainstream novels, which led critics to compare him with F. Scott Fitzgerald. During the 1930s and '40s, when he was acclaimed as the preeminent author of American suspense fiction, Woolrich lived with his mother in an apartment-hotel near Harlem. After her death in 1957, Woolrich became a self-imposed prisoner in a series of lonely hotel rooms until his death in 1968. Few attended his funeral, and his million-dollar fortune was left to Columbia University to establish a scholarship fund. Though he perceived himself as a failure, Woolrich's work was a critical and financial success. His novels, such as 'The Bride Wore black,' 'Phantom Lady' and 'Deadline at Dawn,' inspired the French roman noir and film noir. His novella 'Rear Window' became one of Alfred Hitchcock's most acclaimed films. Sounds like someone living out his own stories, which is quite sad but very fascinating. Since he is fascinating and his writing so amazing, what I have for you today is a load of information from various sources to pull you further into his work. These links all contain some type of synopsis or overview for many of theWoolrich adaptations. First up is the Woolrich page at escape-suspense.com. Here we find a comprehensive cache of Woolrich adapted to radio. Mainly in episodes of Suspense but also in other programs. Webmeister Christine gives a good overview of each episode and when possible other background or behind the scenes info which is presented along with downloadable MP3s. Reviewer for The Chicago Reader, Jonathan has a richly illustrated essay on Woolrich film adaptations originally printed in Film Comment, Sept 1984. His specialty was the “emotional thriller,” harrowing trips into fear and paranoia with suspense set pieces that no author has equaled. Often called by admirers and critics “the literary Hitchcock” and “the twentieth-century Edgar Allan Poe,” Woolrich could wring more palpitating dread out of everyday life than any writer I’ve encountered. His style is defining of noir, the existential crime tale. 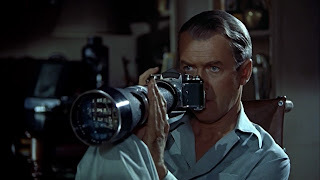 This blog does an in-depth review of a Film Noir every week. Writer Steve-O has submitted a review every week since 2005. He has a selection of Woolrich to read about. Keep in mind these are not glib summaries, but well researched articles with plenty of background info on the films and writings. 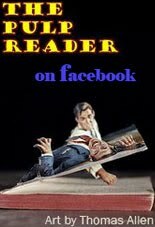 This site has a ton of pics of book covers, movie posters and lists of currently available books and films. Also presented are scans and reprints of Woolrich articles from a plethora of sources such as TWILIGHT ZONE Magazine, Francis Nevins column from Mystery File, and scans of some of Woolrich's actual letters and notes. 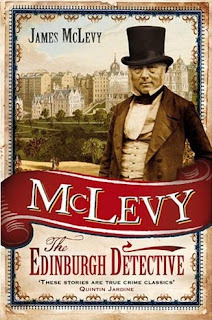 The Ides of March also bring new episodes of McLevy. Who's McLevy? Head to the Pulp Reader subsite to learn all about him! Unfortunately I was caught off guard and we are already mid-way through the four episode season. But as of right now you can listen to the current episode Prince of Darkness on the BBC Radio 4 iplayer!